Are Porcelain Veneers and Press-on Veneers Comparable? I have stained teeth and the two front teeth have a small gap. I’ve been thinking about porcelain veneers, but I’m still paying off student loans so I’m not sure if more debt is what I need. However, at this point in the game, I worry that the condition of my teeth keeps me from advancing at work. It may just be my sensitivity about my teeth, but I feel like everyone who gets a promotion has a gorgeous smile. We have a business that is quite interactive with our clientele. I recently heard about something that is called press-on veneers. They are still costly but not quite as much the porcelain veneers. Are they comparable? It depends on what you’re going for. If you’re looking for a permanent smile makeover that looks beautiful and natural, then I would go with porcelain veneers or other alternatives, which we’ll discuss momentarily. The press-on veneers will not accomplish that. What they could be useful for is a photo shoot you have to do or something similar. They’re too bulky looking to look natural at a conversational distance and many patients find them difficult to talk with them in. Plus, they’re not permanent they’re removable. Rather than compare them to porcelain veneers, I’d say they’re much more like Snap-On Smile. Even the website for the press-on veneers will tell you they’re bulky. I noticed when I looked at their models in their photos, which would be their best, you could see a gap between the top of their press-ons and the gums above them. That will allow things to get trapped between them leading to decay, not to mention it’s unsightly. 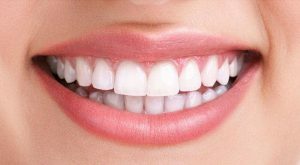 Because you’re mostly worried about staining and a gap, there’s a much more affordable solution which will give you a beautiful, natural smile. The first, obvious thing is teeth whitening. That alone makes a huge difference in someone’s smile. For the gap, you have two options. First, you can get Invisalign. It’s a type of Invisible braces. This would make more sense if there were other portions of your teeth that also need to be repositioned. However, unless the gap is very large, it would be a bit of an overtreatment. If everything else is perfect and you just have a small gap, I’d suggest getting dental bonding done to close the gap. You would want to do the whitening first to ensure your bonding will perfectly match the new white color of your teeth. 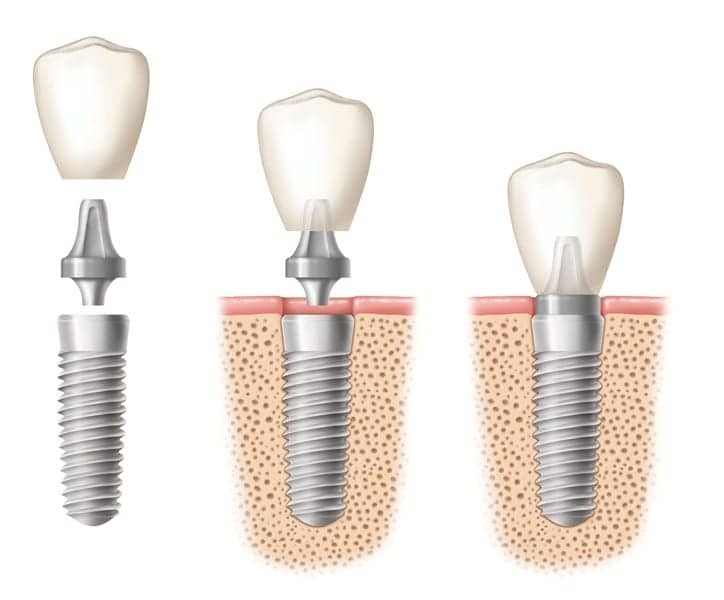 I recently lost a tooth and my dentist is pressuring me to replace it with a dental implant. You have to understand I have a very hard time recovering from surgeries and the idea of doing one electively seems absolutely insane to me. I am currently wearing a dental flipper while I make a decision. Am I insane for looking at alternatives? If not, what do you recommend in my particular case? Let me say up front, you are never insane for looking at alternatives. Instead, I would say you are wise. I also don’t like it when patients feel pressured by their dentist. It creates a feeling of insecurity and wariness when it comes to confiding in them their true feelings. Eventually, that leads to mistrust. In your case, you have two great options. No other tooth structure is affected. The only thing you have to worry about is the space where the new tooth will be placed. It is the closest thing to having a healthy natural tooth again. 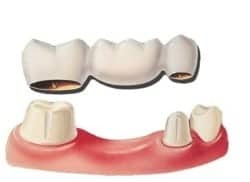 With a dental bridge, you will have a false tooth suspended between two dental crowns. This requires the two adjacent teeth to received crowns. If those teeth already need work, no problem. However, if they are healthy you will be grinding down healthy tooth structure. This doesn’t mean you are wrong if you choose this option. It is just something to be aware of. 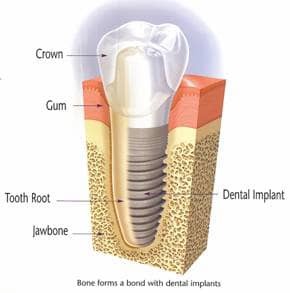 While your implant crown can be made to match any shade of tooth color, once it is made, the color is permanent. That means if you have the porcelain crown made to match your current tooth color then later decide to whiten your teeth, your natural teeth will whiten but your crown will stay the same color. Obviously, this only matters if it is visible when you smile. If it is, you’ll have to replace the crown. An easy way to prevent this is to consider ahead of time if you plan on whitening your teeth any time in the near future. If you are, it will save you money to take care of that before you move ahead with your your tooth replacement. This way you won’t have to replace it sooner than would otherwise be necessary.